A team of hungry game changers has a great idea - to disrupt the status quo and reimagine banking for customers. What better way to communicate their story and offering than colourful cheery captivating illustrations! 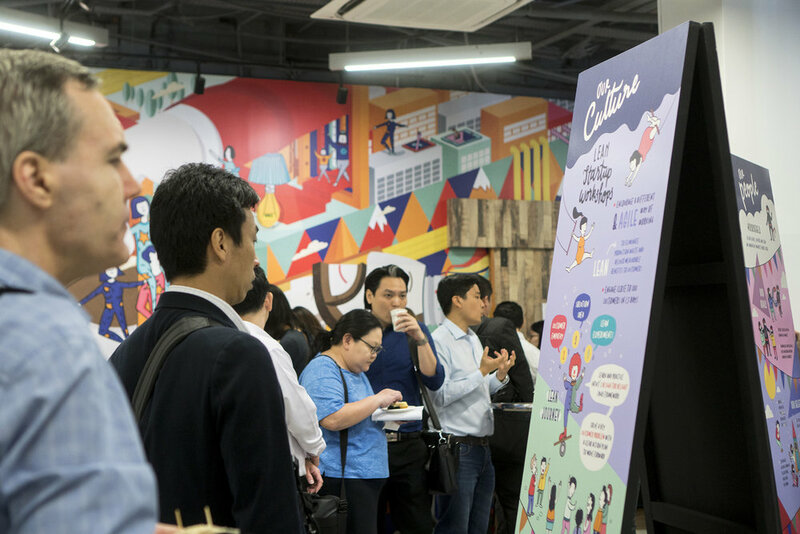 By matching the colour scheme and illustration style of the wall mural in The Open Vault at OCBC’s office, we created seven standees that reflected their fun work culture and innovative programmes such as the LEAN workshops, Speaker Series and the CEO Innovation Awards.